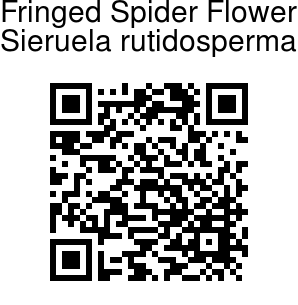 Fringed Spider Flower is an erect, branched, annual herb, growing up to 15-100 cm tall. 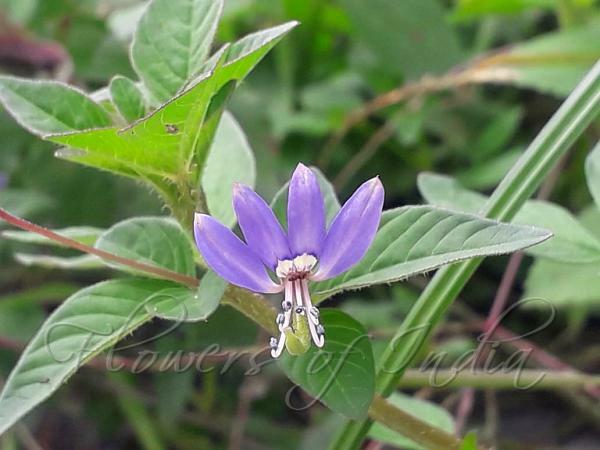 The plant has angular stems and trifoliolate leaves on stalks 1.5-5 cm long. The leaflets are ovate to lancelike, 2-5 cm long, 0.5-2.5 cm wide. Crimson flowers, turning pink, occur singly in leaf axils. Sepals and petals are 4 in number. Petals are about a cm long. Fruit is a 2-valved, beaked capsule, 5-7 cm long, 4-5 mm wide. Fringed Spider Flower is native to Tropical Africa, naturalized in India and elsewhere. Flowering: May.